Sachtler just launched a new Signature Series Limited Edition Freddie Wong ACE Tripod. 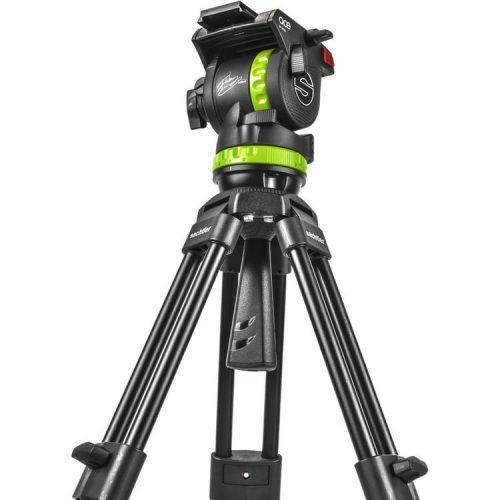 The new tripod features Freddie's unique Lime Green colour and is indie filmmaker and videographer friendly. Those used to compact cameras like the Sony FS5, Canon C100 Mark II or DSLRs like the Canon 5D Mark III or Mark IV can definitely benefit from the new Sachtler tripod. You probably recognize the name Freddie Wong from his very popular action/comedy Youtube channel - RocketJump, where he has over 7 million subscribers. The Freddie Wong special features a Sacthler Ace L fluid head with 7 steps of counterbalance and a Long sliding range of 104 mm / 4.1 in for fast and precise balancing of the camera. The drag mechanism enables smooth and precise movements, with 3 horizontal and vertical plus 0 Settings to select from - so all the Features you expect from a professional tripod System. The new tripod can handle payloads from 0 - 6 kg / 0 - 13.2 lbs and is perfect for every content creator/videographer who uses compact and lightweight cameras. The Freddie Wong ACE Tripod also includes a padded bag for convenient transport and storage. You can order yours today from our website here. Sachtler have said they will do only a limited run of only 200 of these!